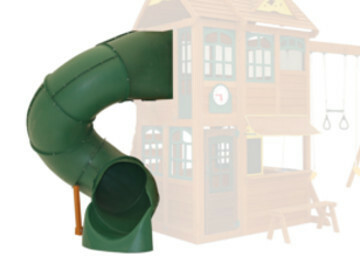 If you have a climbing frame and need a slide or require a replacement or upgraded slide for an old treehouse with a 1.5m (5ft) raised deck, then this tube slide is a fantastic option especially if you have limited space as the tight curve means it takes up minimal room in your garden. This is perfect if you have a smaller garden but still want your kids to be able to enjoy a slide. 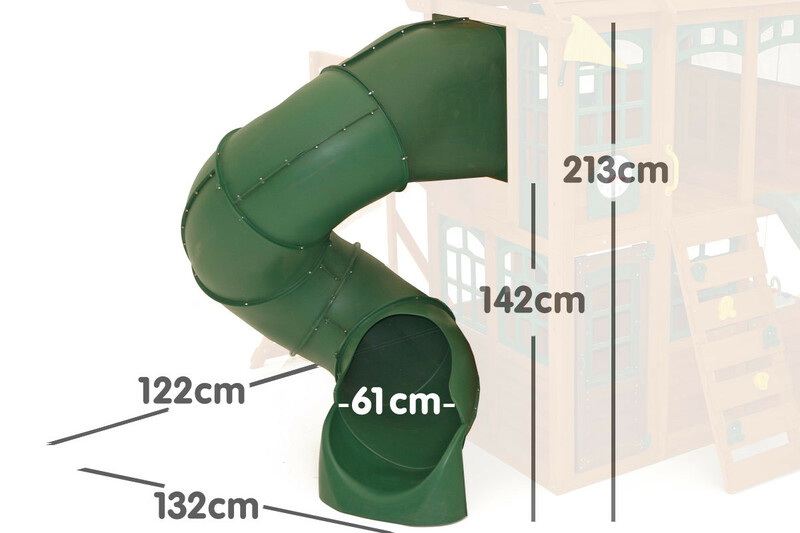 This slide includes a large fully-enclosed entrance to ensure safe and easy access and a step at the bottom to enable a safe and easy exit of the slide on their feet. The slide is reinforced all the way around with clamp rings and strong bolts. 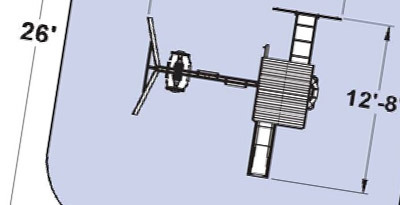 The slide also includes a small supporting leg which is mounted under the slide for added strength. Note: This product only includes the slide. 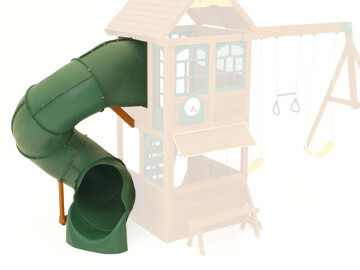 The climbing frame is pictured to illustrate suggested use of this product.